I use my 10.5" iPad Pro every day for taking notes. I greatly prefer to hand-write my notes using the Apple Pencil. This allows me to capture ideas and questions in the margins as well as detailed drawings and diagrams in the main body. It's fantastic. But, unlike plain text, this is one area where the app makes all the difference. 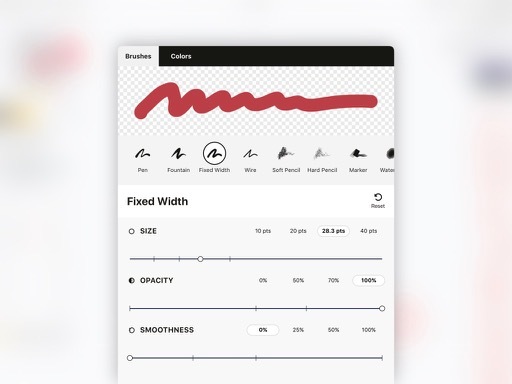 Many iPad note apps support the Apple Pencil and implement some sort of inking system with line coloring and thickness adjustments. Very few nail the actual feel of pen on paper though. Like any pen collector, I've become very picky about the performance of the ink in most iPad apps. 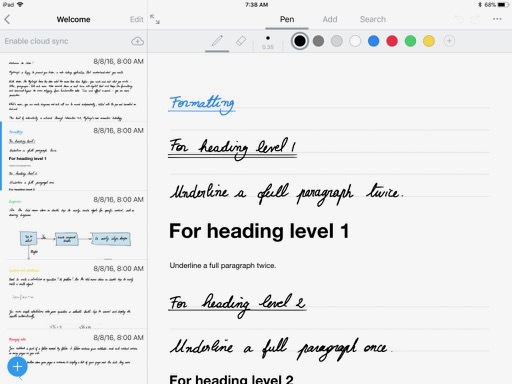 Here are my very strong opinions on the ink from some of the best free-writing note apps. The ink in GoodNotes feels the closest to actual pen on paper. The line keeps up with the tip of the pencil regardless of how fast I move it. There's no pressure responsiveness in GoodNotes but it doesn't feel like it needs it. The middle line thickness almost always looks good. Nebo has really excellent handwriting ink. 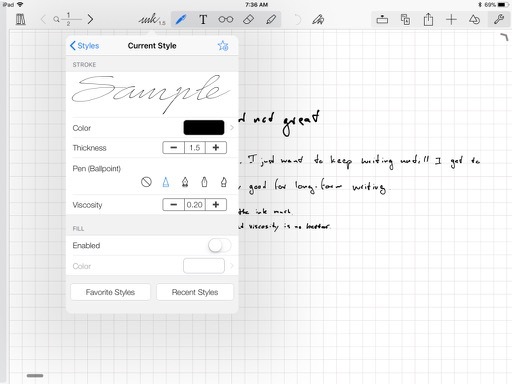 The fast ink performance of Nebo keeps up with the Apple Pencil and makes it feel very natural. 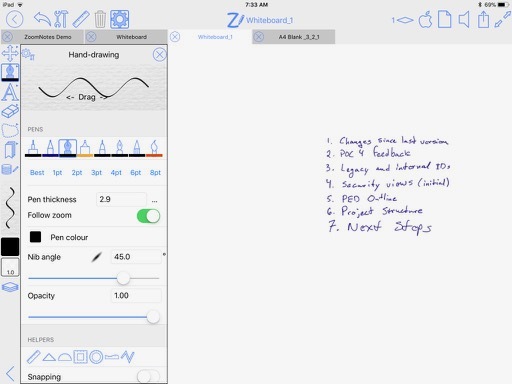 It's one of the best inking apps for handwriting. 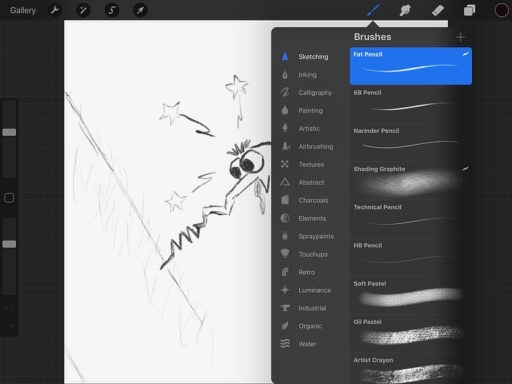 Nothing beats Procreate for customizability and performance. It's the most natural and "real" ink I've used on the iPad. Even the pencil lead, with it's rough texture and pressure sensitivity feels perfect. Sometimes I just sit and doodle in Procreate because it feels good. ZoomNotes has really nice inking speed that keeps up with the Apple Pencil. There are a lot of convenient options for tuning the ink settings and saving them as preferences. The app itself is a bit of a UI mess but I give it high marks in the ink category. 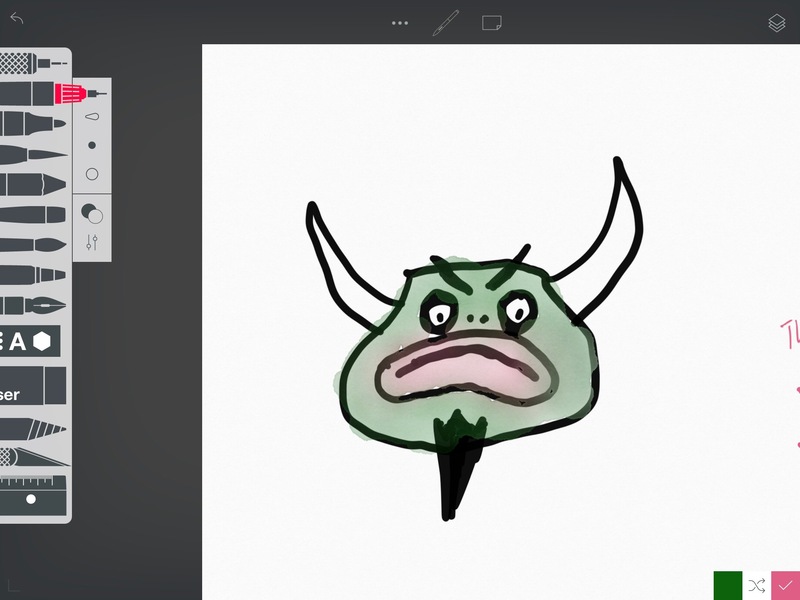 Sketches Pro is a nice general drawing app but it can be slow when drawing fast. The ink can't keep up with fast hand movements while doing rough sketches. The simplicity of Linea can be a relief. The ink is incredibly fast and drawing feels smooth. It's a fun doodling app that has lots of potential. Ink in Concepts doesn't really feel natural, but to be fair, it's a vector drawing app. There's a lot of control in Concepts for tweaking the line style but there's just too much smoothing even at the lowest setting. I like Concepts for other things, but it's just not a good writing and doodling app for me. 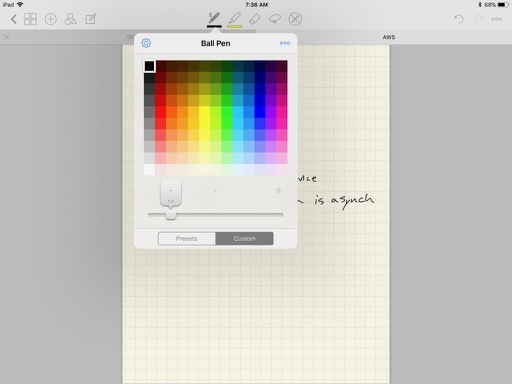 The ink in Notes Plus is just too slow to feel natural. I notice the lag and the aggressive line smoothing means I don't even recognize my own handwriting. I like everything else about Notes Plus but I just can't get used to the ink. Changing the "viscosity" does make the ink feel thicker and stickier but it never feels right. It's a good app marred by bad ink. 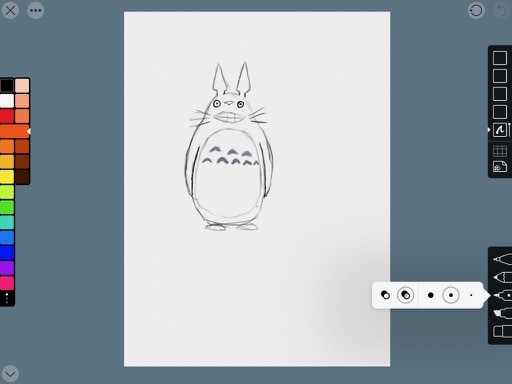 Sure, it's just a line of pixels, but the ink in a sketch app matters to me. I use an iPad partly because it's a joy. It should follow the tip of the Apple Pencil as if it was flowing directly from it. It should make me forget that it's a piece of plastic on glass. There's a special kind of joy that comes with using good tools. I love the feel of a good pen on top-shelf paper. The quality of the tool may not mean much for the quality of the end result but it sure does make the journey more fun.